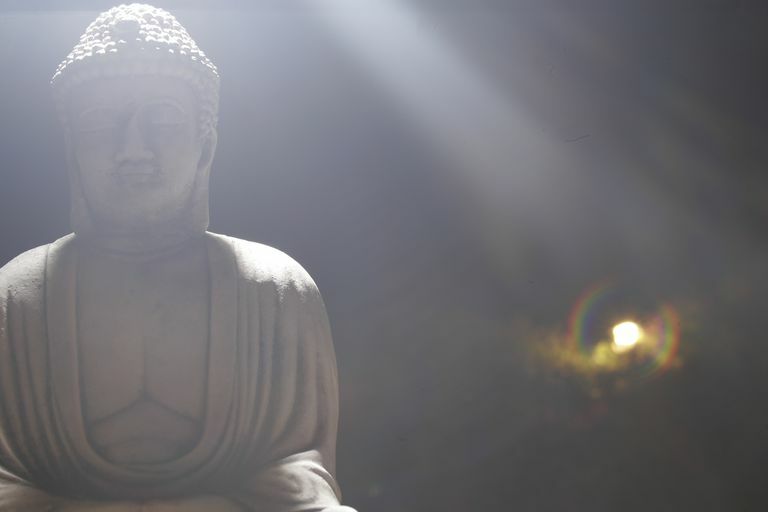 What is Citta in Buddhism? In the Sutta-pitaka and other Pali and Sanskrit Buddhist scriptures, three words are used frequently and sometimes interchangeably to mean "mind," "heart," "consciousness," or other things. These words (in Sanskrit) are manas, vijnana, and citta. Their meanings overlap but are not identical, and their distinctiveness often is lost in translation. Citta often is explained as "heart-mind," because it is a consciousness of both thoughts and emotions. But in different ways, the same could be said of manas and vijnana, so that doesn't necessarily help us understand what it is. Is citta important? When you meditate (bhavana), the mind you are cultivating is citta (citta-bhavana). In his teaching on mindfulness of mind, the word for mind the Buddha used was citta. When the Buddha realized enlightenment, the mind that was liberated was citta. Of these three words for "mind," citta is the most widely used and arguably carries the most widely diverse set of definitions. How it is understood varies quite a bit from one school to another, and indeed from one scholar to another. This essay touches very briefly on only a small part of the rich meanings of citta. In early Buddhist texts, and also in modern-day Theravada Buddhism, the three words for "mind" are similar in meaning, and their distinctiveness must be found in context. In the Sutta-pitaka, for example, often citta is used to refer to the mind that experiences subjectivity, in contrast to the mind of cognitive functions (manas) or sensory consciousness (vijnana). But in other contexts all of those words might refer to something else. The Buddha's teachings on the Four Foundations of Mindfulness can be found in the Satipatthana Sutta (Majjhima Nikaya 10). In that context, citta seems to refer more to one's general state of mind or mood, which of course is always changing, moment to moment—happy, grumpy, worried, angry, sleepy. Citta is sometimes used in the plural, cittas, which means something like "states of mind." An enlightened insight is a purified citta. Citta is sometimes explained as one's "inner" experiences. Some modern scholars explain citta as the cognitive foundation of all our psychological functions. In some schools of Mahayana Buddhism, citta came to be associated with alaya vijnana, the "storehouse consciousness." This consciousness contains all the impressions of previous experiences, which become the seeds of karma. In Mahayana, citta also is closely associated (and sometimes synonymous with) bodhicitta, "enlightenment mind" or "awakened heart-mind." This usually is defined as the compassionate wish to bring all beings to enlightenment, and it is a vital aspect of Mahayana Buddhism. Without bodhicitta, the pursuit of enlightenment becomes selfish, just something else to grasp. Tibetan Buddhism divides bodhicitta into relative and absolute aspects. Relative bodhichitta is the wish to be enlightened for the sake of all beings. Absolute bodhichitta is direct insight into the absolute nature of being. This is similar in meaning to the "purified citta" of Theravada.. The word citta combined with other words takes on other significant meanings.Here are some examples. Bhavanga-citta: Bhavanga means "ground of becoming," and in Theravada Buddhism it is the most fundamental of mental functions. Some Theravada scholars explain bhavaga-citta simply as the momentary, open mental state as attention shifts between objects. Others associate it with Prakrti-prabhasvara-citta, "luminous mind," mentioned below. Citta-ekagrata: "One-pointedness of mind," a meditative focus on a single object or sensation to the point of absorption. Citta-matra: "Mind only." Sometimes citta-matra is used as an alternate name for the Yogacara school of philosophy. Very simply, Yogacara teaches that mind is real, but phenomena—objects of mind—have no inherent reality and exist only as processes of mind. Citta-santana: The "mind stream," or continuity of experience and personality of an individual that is sometimes mistaken for a permanent self. Prakṛti-prabhasvara-citta: "Luminous mind," originally found in the Pabhassara (Luminous) Sutta (Anguttara Nikaya 1.49-52). The Buddha said this luminous mind is defiled by incoming defilements, but it is also freed of incoming defilements.